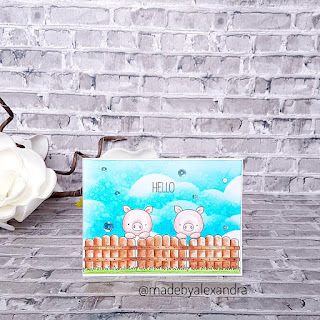 For this card I stamped the images from Hog Heaven stamp set and then masked them using some post it tape . Then I created the clouds background using Distress inks and then coloured the images using Polychromos pencils . Last step was to add some Pretty Pink posh sequins and adhere the card panel to the card base using foam tape for a bit of dimension ! And I started by ink blending the half circle using Distress oxide Worn Lipstick and the using the same color I added some splatters . 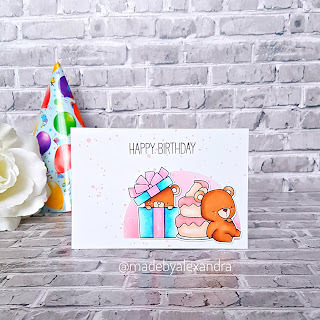 Next I colored this adorable bears from Beary Special birthday stamp set and color them using Spectrum Noir Alcohol markers. I adhered them using foam tape and stamped the sentiment from Adorable elephants stamp set and adhered the card panel to the card base. 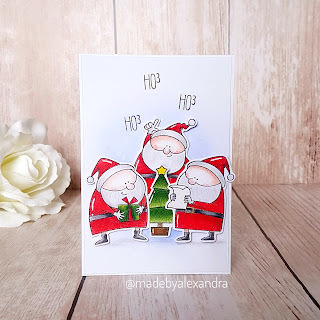 I stamped the images from Jingle all the way stamp set and coloured them using Polychromos pencils and then fussy cut them . To add a bit more interest I have added some white highlights using a gel pen. Because my tree had the yellow start I thought it was a good idea to create an purple background using Shaded lilac distress ink and then stamped the sentiment from the same stamp set . I adhered the images using foam tape and my card was done! 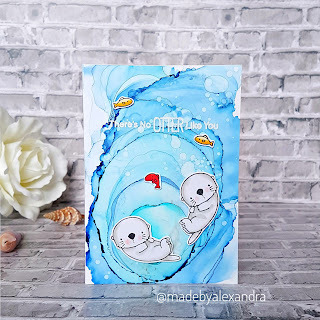 For this card I have created a background using alcohol markers and ink blending solution and the coloured those cute otters and fish from Otterly love you stamp set using Spectrum Noir alcohol markers. 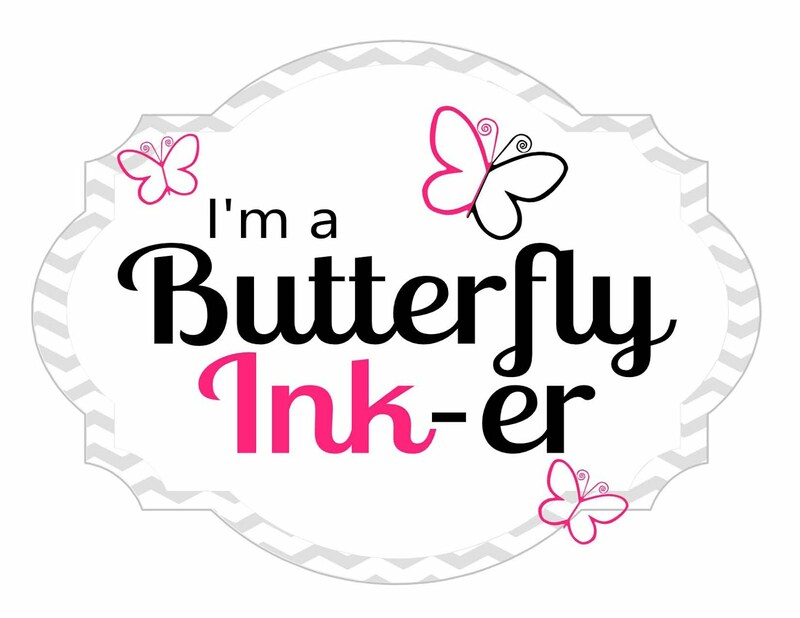 Next I fussy cut the images and stamp the sentiment from the same stamp set using Versa Mark ink and white embossing powder. I adhered the images using foam tape for a bit of dimension and the panel its adhered using score tape . 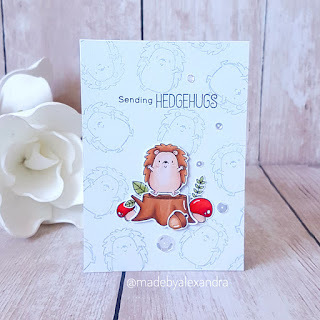 For this card i started by cutting the panel and then using an grey ink i stamped the cute hedgehog multiple times . Next i coloured the other images from the Happy hedgehogs stamp set using Spectrum Noir alcohol markers. The sentiment is from the same set and to finish i added some Pretty pink posh sequins.